Want to purchase a Manitoba hunting license? You are required to have a Hunter Education card or certificate when purchasing a hunting licence. Starting January 1, 2012 all hunters will be required to produce a Hunter Education Certificate or card when purchasing any type of hunting licence. To qualify for a hunting licence, any person born after January 1, 1951 and any first-time hunter wanting to purchase a hunting license must be a graduate of the provincial Manitoba Hunter Course or a similar hunter education course from another province or state. Minimum age to purchase a hunting licence is 12. Hunters under the age of 18 must present their Hunter Education card when purchasing a licence and carry the card while hunting. A solid blaze orange hat and an additional 2580 sq. cm. 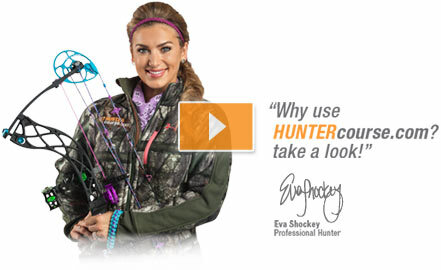 of blaze orange above the waist and visible from all sides must be worn by big game hunters. Bow hunters are exempt during bow hunting seasons or in bow hunting areas only. Wolf hunters are exempt when hunting in game hunting areas while no other big game season is on. Black bear and wolf hunters are exempt during the spring season. Manitoba requires 50% of Camouflage Hunter Orange garment to be daylight fluorescent orange color.